As usual, ITEC 2014 was an amazing and overwhelming experience, for both me and my students. 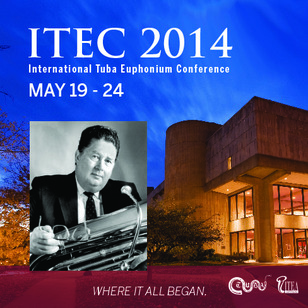 Sam Pilafian called it a “Love Fest”, and the motto, “Where it all began” refers to the fact the first International Tuba and Euphonium Conference was held at Indiana University in 1973. I was thrilled to be able to bring my students from the University of Iowa. As Collegium Tubum, they performed brilliantly on the last night of the conference and we were all inspired and entertained all week by the many amazing performances. It would be hard to single out any favorite concerts, but of the course the big names like Øystein Baadsvik , Steven Mead, Roland Szentpali and David Childs were all incredible. But, my favorite moments of any conference are when I get to reconnect, even if briefly, with old friends. Getting to say hello once again to my old roommates from the Regina ITEC David Silden and Bart Collins, and old friends and classmates from Boston, Craig Knox and Steve Campbell. I was also very proud to see two of my former students, Dr. Kate Wholman and Dr. Chris Dickey presenting at the conference as well. ITEC 2014 was also my first visit to Indiana University and Bloomington. The campus was beautiful and impressive and it was very special to be attending a conference that returned to “where it all began”. One of the most memorable moments involved hearing a performance of David Baker‘s sonata for tuba and string quartet by David Saltzman. The performance was impeccable and musical, and although I have owned the piece for years, I had never heard it performed – not even in a recording. Dr. Baker was in the audience and it was an extra treat to be able to shake his hand after the concert and marvel at this man’s talent. It was very touching to hear Eduardo Nogueroles’ performance of his original composition Harvey’s Tuba. Harvey spent some time in Spain and had a great influence on Eduardo and his students, and it was even more poignant for Carol Phillips, Harvey’s widow, to hear the performance and reconnect with Eduardo. The inter-connectivity of our close-knit world is truly remarkable, and one of our strengths is the bond we all share and celebrate every two years at ITEC. My students and I look forward to the regional conferences of 2015 and the next ITEC in Knoxville in 2016. 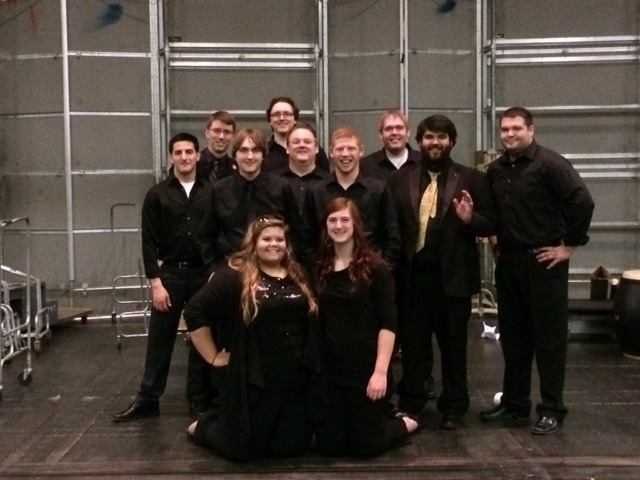 This entry was posted in Tuba Stuff and tagged #ITECBloomington, 2014, Collegium Tubum, conference, euphonium, Harvey Phillips, ITEC, Tuba. Bookmark the permalink.